I want to thank you, and all of our donors, for your unwavering support, abundant love and continued generosity throughout the year. Your gifts are bringing hope and healing to the suffering people in the world’s youngest country, and I am beyond grateful. This year, our team was able to deliver more than $1.1 million in emergency humanitarian aid to the most abandoned and forgotten people in the world. This was only possible because of you. Your prayers and financial support are keeping hope alive in the hearts of so many innocent children, women, and families in this war-torn nation. But we have so much more to accomplish. As we approach the end of 2018, will you please make a special year-end donation so that we can continue our mission of building a better life and a brighter future in 2019? 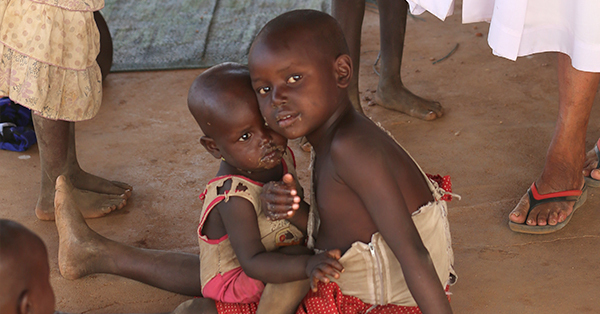 Your tax-deductible donation may be the gift that saves the life of a hungry child or spares a mother the pain of losing her weak, small child from a preventable disease. Will you make a special year-end donation of $50, $100, $500, $1,000 or any amount you can give? The conditions remain unimaginable, and we need your support to ensure hundreds and thousands more people receive the lifesaving humanitarian aid they so desperately need and deserve. P.S. This country may be hurting, but nothing is too late. You can still make an impact and save lives in 2018 with your tax-deductible gift. Please support our lifesaving programs and make your year-end donation by December 31.